"Rothschild" redirects here. For other authors with the same name, see Rothschild (disambiguation). 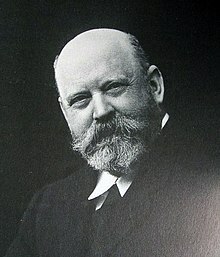 Lord Lionel Walter Rothschild (February 8, 1868 – August 27, 1937) was a British banker, entomologist, zoologist and founder of the Zoological Museum, Tring (now the Natural History Museum at Tring). Rothschild, L.W., 1896. New Lepidoptera. Novitates Zoologicae 3: 91-99. BHL. Reference page. Rothschild, L.W., 1896. On Some New Subspecies of Papilio. Novitates Zoologicae 3: 421-425. BHL. Reference page. Rothschild, 1899. Some New Eastern Lepidoptera. Novitates Zoologicae 6(1): 67-71. BHL. Reference page. Rothschild, 1899a. Two new species of Charaxes. Entomologist 32: 171-172. Reference page. Rothschild, W., 1901. Some new butterflies and moths. Novitates Zoologicae 8: 218-220. BHL. Reference page. Rothschild, L.W. 1905. Notes on extinct parrots from the West Indies. Bulletin of the British Ornithologists' Club 16: 13-15. Rothschild, Lionel Walter: Extinct birds, Hutchinson & Co., London, 1907. Rothschild, L.W. 1909. A new Aegeriid. Novitates Zoologicae 16: 132. Rothschild, L.W. 1911. New Aegeriidae. Novitates Zoologicae 18: 45–47. Rothschild, L.W. 1912. New Bornean Aegeriidae and Syntomidae. Novitates Zoologicae 19: 122–124. Rothschild, Lionel Walter, 1915. On the gigantic land tortoises of the Seychelles and Aldabra-Madagascar group with some notes on certain forms of the Mascarene group. Novitates Zoologicae, Vol. 22:418-442. Rothschild, L.W. 1925. Description of a new Aegeriid Moth of the Genus Trilochana. Annals and magazine of natural history (Ninth Series) 16: 208. Rothschild, L.W. 1925. List of the Lepidoptera collected April to end of June 1925 by E. Hartert & F. Young in Morocco. Bulletin de la Société des Sciences Naturelles du Maroc 5(7–8): 324–345. Giraffa camelopardalis rothschildi, Lydekker, 1903. This page was last edited on 14 September 2018, at 14:36.